Trans Tank International (TTi) uses a rotational moulding process to manufacture the tanks – by adding more polyethylene powder during the moulding process, a thicker and stronger product is produced. 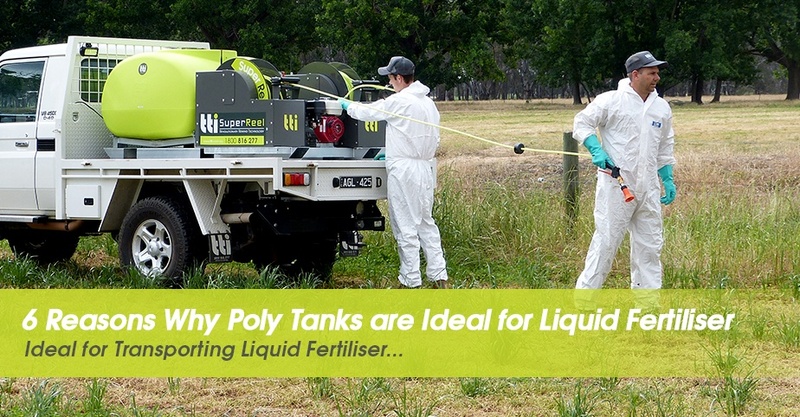 The real benefit of using polyethylene to make liquid cartage tanks is that, regardless of how thick they are made the end product is still lightweight when compared to other tanks made from materials such as metal or fibreglass. This of course allows purchasers to choose a larger tank to suit their vehicle as they don’t have to consider a large weight penalty due to the size of the tank. 1. In addition to a light tare mass, TTi tanks are UV stabilised to withstand the elements. They’re also designed with a low profile for extra safety and conventionality. 2. Each tank includes free pins for easy mounting. 3. TTi tanks also feature a generous tank opening for easier filling and with tanks larger than 200 litres, a spill containment lip surrounds the fill opening. 4. An added feature of the TTi tank is the easy-to-read calibrated measurement of contents scale on the tank side. This makes filling or measuring an exact amount for your load much easier. 5. SumpTrans TTi tanks mount to any flat surface proving they are fitted onto our galvanised steel frames, which hold the tank and sump off the ground. 6. Poly tanks from TTi are designed and engineered for optimum durability and low centre-of-gravity. These low-profile designed tanks are the best choice for liquid transport that ensures safety. to discuss your tank solution!